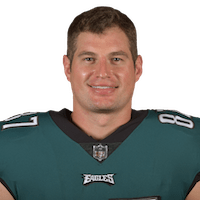 Published: Dec. 10, 2017 at 05:03 p.m.
Carson Wentz finds Brent Celek for a touchdown. Published: Nov. 26, 2015 at 01:21 p.m. Published: Nov. 15, 2015 at 01:25 p.m. Published: Oct. 11, 2015 at 03:16 p.m.